Millennium III Upright Action features components made of ABS-Carbon, a composite material created by the infusion of carbon fiber into our renowned ABS Styran. ABS-Carbon is incredibly sturdy and rigid, which allows the creation of action parts that are lighter without sacrificing strength. 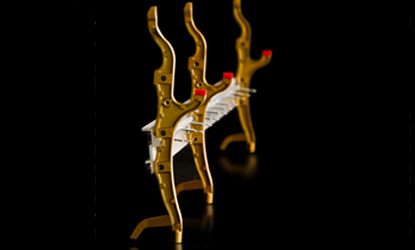 The result is a stronger, faster action that offers more power, better control and greater stability than conventional all-wood actions. Made from a custom mold, die-cast parts are formed exactly the same every time. 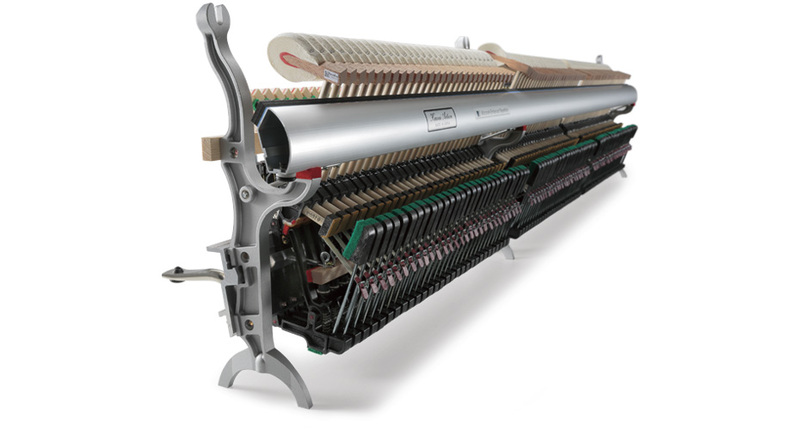 The K Series pianos feature three aluminum action brackets that are die-cast to provide an added measure of strength, uniformity and stability for accurate touch over time. Longer keys make playing easier and provide more even response from the front to the back of the playing surface. The benefits to the player are greater control and more power with less effort. The soundboard is the heart of a piano. Its purpose is to transform the vibrations of the piano’s strings into a rich, resounding tone. 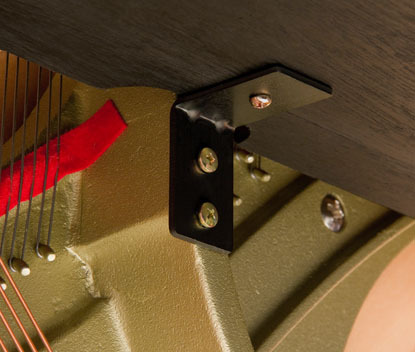 Kawai uses only straightgrained, quartersawn solid spruce for K Series soundboards. Each soundboard is strategically tapered to maximize its tone producing capability. 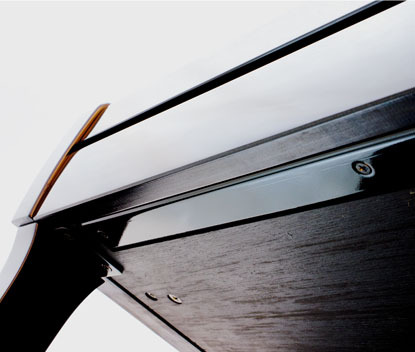 Only those that meet or exceed our demanding quality standards are selected for use in our professional upright pianos. Mahogany hammer mouldings are lightweight and extremely responsive. Found on only the finest pianos, mahogany is used for the hammer mouldings on the entire line of K Series Professional Upright Pianos. 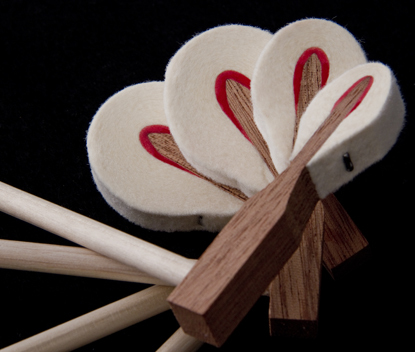 All K Series hammers are T-Stapled to preserve hammer shape and fitted with an added interior layer of underfelt to support the creation of exceptional tone. The piano’s keyslip is the long, horizontal piece of wood that covers the front faces of the keys. Because it is long, thin and made of wood, a keyslip can warp or bend with changes in humidity, causing keys to stick. 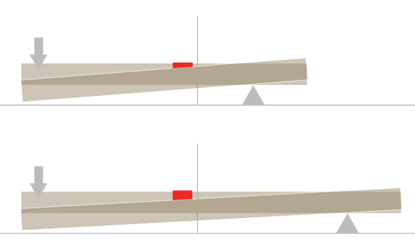 To eliminate this problem, a heavy-guage steel angle iron is added to prevent warping and bending in any direction. Keys move more freely with virtually no possibility of rubbing or sticking against the keyslip.